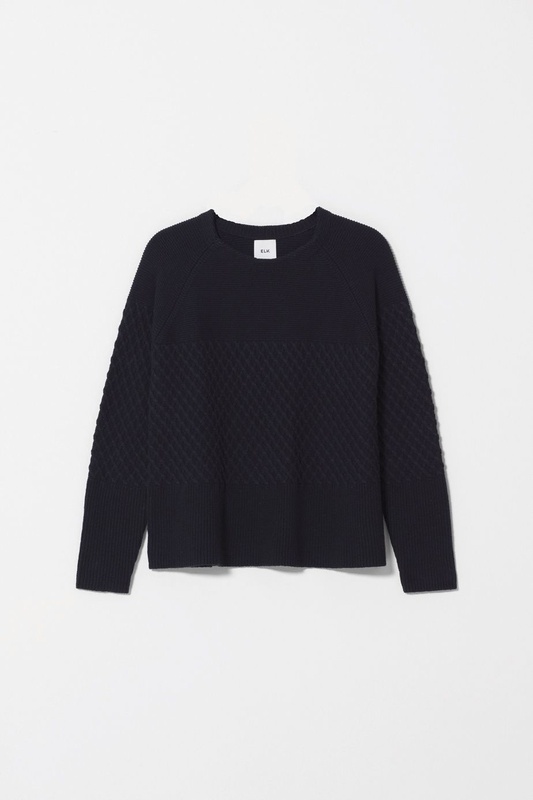 The Jaffle Sweater is a classic styled sweater crafted from a cotton and wool blend making it the perfect addition to any wardrobe. This sweater lends itself to transeasonal styling. Lightweight enough be worn as is with cuffed skinny jeans, or the sweater can be layered for the cooler months. Design details create a unique style with a weave knit mid panel, loose-fit hemline, and drop shoulder, the Jaffle Sweater complements any shape. The Jaffle Sweater has been designed to be an oversize fit. To achieve this look we recommend selecting your usual size or for a more fitted look we recommend choosing a size down.